Evie_Emerald13579 | The Princess Loves... A Peasant!? 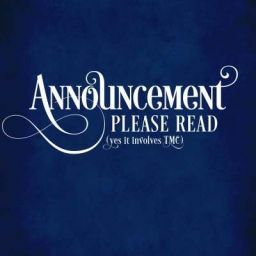 Important Announcement Regarding My Review Queue | PLEASE READ! NOTE: This review book is now closed permanently. If you wish to sign up for a review, I&apos;m now part of the team at TriadReviews where I help two other reviewers rip people&apos;s work to tiny pieces--all for the greater good, of course. Hi there, welcome to Loquacious Reviews! What sort of new and heinous madness is this, you ask? The best kind, my friends, the very best kind. Okay, maybe the second best kind. But hey, I&apos;m trying! 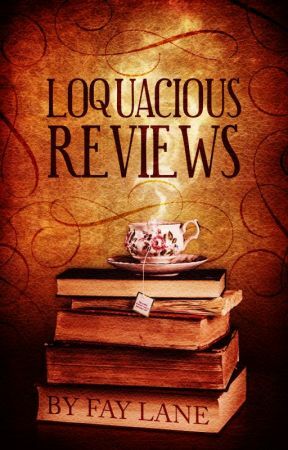 Here at Loquacious Reviews, you will find reviews of books from a variety of Wattpad authors. The thing that makes this book a little different is that with each review chapter, I also post a video of me rambling incoherently for a few minutes about the book in question. Thus the &apos;Loquacious&apos; part of the title. This concept started as a holiday giveaway (you can still find those chapters at the back of the book if you&apos;re interested). I decided to make it a regular(ish) thing when I received many more entrants than I&apos;d expected--44 in total. I have made a solemn vow to work through this extensive queue, in random order. As a result, submissions are closed. As a reviewer, my ultimate goal is to be as helpful as possible. This means I&apos;ll be honest, and occasionally blunt, but I&apos;ll also endeavor not to make you cry. Even if the book is not to my taste for whatever reason, I&apos;ll put personal bias aside while reading it and make sure to note which aspects of my review are subjective. I&apos;ll read each book as far as I can--I.E. until I lose interest or can&apos;t continue due to grammar issues, etc. I&apos;m no expert, but I have learned (and am still learning) a fair bit about what makes up a good yarn. With any luck, I&apos;ll be able to help out a few of my fellow scribblers, and maybe have a bit of fun in the process. So, there you have it, folks. Why not take a look around and see if anything strikes your fancy? And don&apos;t forget to add this book to your library for updates. Happy reading!